A bill being proposed in the Washington legislature would outlaw advertising on billboards by marijuana stores. 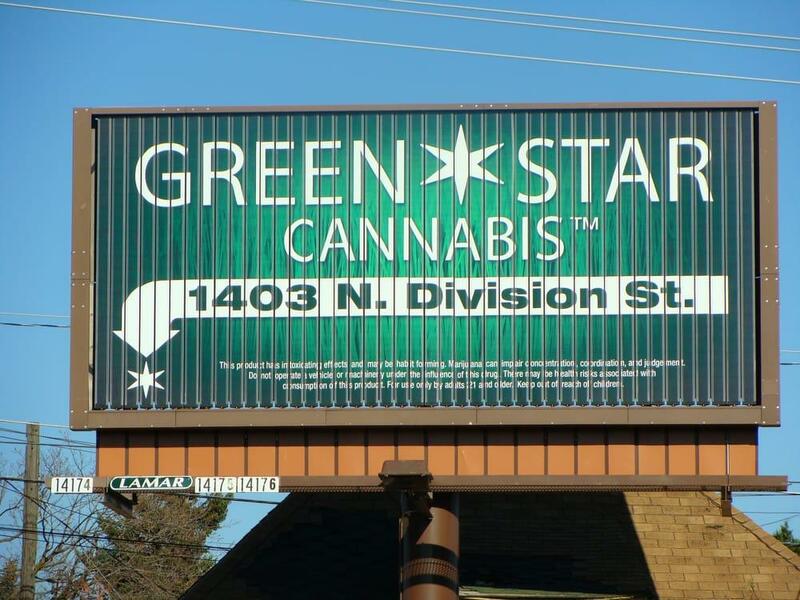 Current state law allows outdoor billboards for marijuana stores, but retailers are prohibited from showing images of any product, or using movie or cartoon images that would appeal to children. They can identify the name and nature of the business, and where it is located. Now House Bill 1466 seeks to ban those billboards altogether. At a hearing before the House Commerce and Gaming Committee, the prime sponsor, Rep. Brad Klippert (R-Kennewick), referenced the settlement Washington state made with the tobacco industry in 1998, that outlawed billboard advertising of those products. He also cited information he gleaned from a pamphlet from the website drugfreeworld.org. “It says marijuana smoke contains 50-70% more cancer causing substances than tobacco. I’m asking that you strongly consider this bill to help protect our citizens against marijuana smoke that's even more dangerous than tobacco cigarettes that have been banned from billboard advertising,” Klippert said. Speaking against the bill was James Worley of Lamar Outdoor Advertising in Spokane, who said the current rules limiting the content on ads were put in place in 2017 by the state Liquor and Cannabis Control Board. “I don’t want to see the system ended with an outright ban. We negated all that work without trying. Truly giving the rules a chance to work. Any further changes that are made should be through the rulemaking process at the LCB, rather than simply eliminating the advertising regime altogether,” Worley said. Worley said in Spokane, of the 32 marijuana retailers, 29 have used billboard advertising at one time or another. The bill will get a vote Monday in the House Commerce and Gaming Committee.